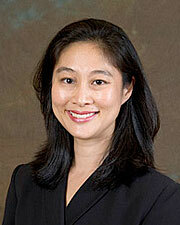 Dr. Lisa Chen is a Professor for the Department of Surgery at McGovern Medical School at The University of Texas Health Science Center at Houston (UTHealth). Dr. Chen sees patients of all ages. She believes in listening to he patients and trying to understand their concerns and the goals they are trying to achieve. Many of her patients problems can be addressed medically, without the need for surgery. Dr. Chen is a member of several professional organizations. She has also received numerous awards during her career including: Castle Connelly Top Doctors 2013, 2014, 2015 and 2016; Vitals Patients Choice Award 2013; Health & Fitness Sports Magazine’s Doctor’s Choice 2009; Consumer Research Council of America’s Top Physicians 2004-2005. When Dr. Chen is not caring for her patients, she enjoys knitting and spending time with her husband and two children.